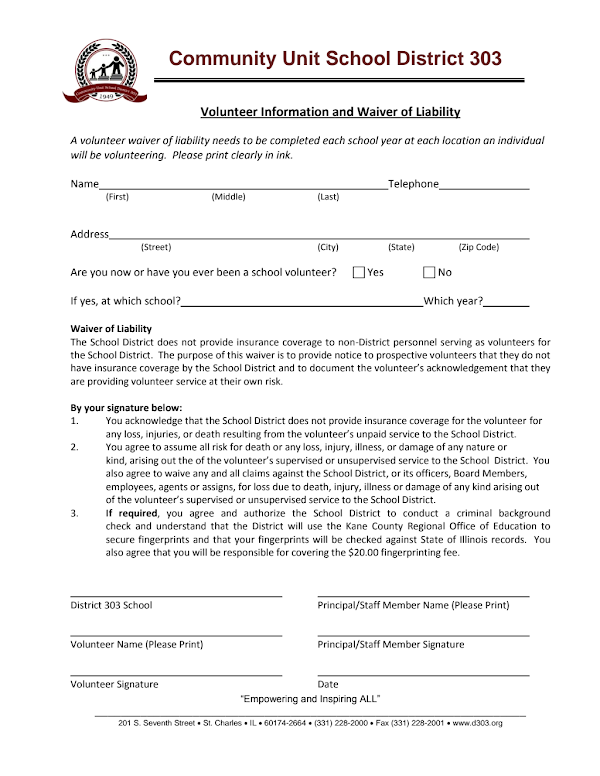 Don't forget to get your volunteer waiver form filled out and returned to the office. We appreciate all your help. We couldn't do it without our great volunteers! !